France inaugurated its first municipal Muslim cemetery in the city of Strasbourg on Monday, a move hailed by Islamic leaders as a step in recognizing one of the country’s largest minority groups. 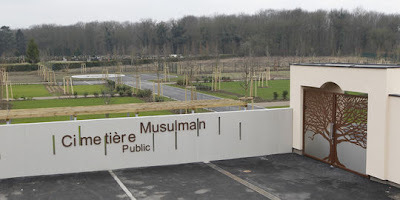 Mohammed Moussaoui, the head of the French Council of the Muslim Faith, hailed the cemetery’s opening as a “historic” moment for Muslims in France and said it was “an important symbol of belonging” for the community. “If a religious community is to feel entirely at home in a city, it must be helped in building places for worship and for the burial of its believers,” Strasbourg Mayor Roland Ries told AFP.